You wish to go to Dubai in United Arab Emirates in march : check the weather and seasonal norms on this page. The weather in Dubai in the month of march comes from statistical datas on the last years. You can view the weather statistics for the whole month, but also navigating through the tabs for the beginning, the middle and the end of the month. With climatic conditions that allow for the enjoyment of both pleasantly warm, beautiful sunny days from dawn to dusk, clear blue skies as well as a light and pleasant sea breeze, it is not surprising that the climate throughout March in Dubai is everything that everyone dreams of to embellish their vacation days. During the first ten days of March, it is possible to enjoy very pleasant morning temperatures, which allow to feel generally comfortable. As noon continues its approach, on the other hand, the heat climbs abruptly - all while remaining rather pleasant. It is necessary to wait until the end of the day, to benefit again of a more refreshing atmosphere. During the second ten days, the heat, which continues to climb, risks to inconvene the more sensitive. It is necessary at this time to think of shelter from the heat in air-conditioned stores, providing a pleasant sensation. The evenings are again more advantageous, with comfortable warmth. It is possible to walk around quietly, benefiting from the numerous positive effects of the sea breeze. Towards the end of the month, climatic conditions are similar to those of the first two ten day periods of the month; with pleasant heat throughout the day and an ideal amount of sunshine. the weather in Dubai in march is dry ; it does not rain often (19mm of rainfall over 2 days). The climate comfortable in that locality this month. The thermometer averaged maximum of 30°C. On average, the recorded minimum temperature is 24°C. Thus, the mean temperature average in march in Dubai is 27°C. Note that these seasonal averages are in contrast with those observed in Dubai in the month of march with a maximum record of 37°C in 2010 and a minimum record of 17°C in 2009. You can hope to have about 12 days with temperatures above 30°C, or 39 of time. On this month of march, day length in Dubai is generally 11:59. 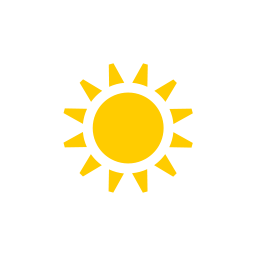 Sunrise is at 06:29 and sets at 18:28. With a perfect climate, the month of march is recommended to go in that area in United Arab Emirates. Check below seasonal norms These datas are compiled from the weather statements of the past years of march. Weather data for Dubai for march are derived from an average of the weather forecast since 2009 in Dubai. There is a margin of error and these forecasts are to be considered as general information only. The weather in Dubai can vary slightly from year to year, but this data should limit surprises. So you can pack your bags or check for the best time in year to go to Dubai. Best time to go to Dubai?